Looking for a get away that is filled with sports, relaxation, and Native American heritage? Love that old west nostalgia? Then visit Scottsdale, Arizona. Surrounded by the Sonoran desert, Scottsdale has much to offer the interested traveler. see the entire beauty of it all from up above in a hot-air balloon GOLF Scottsdale is wonderful for golfers. Packed with 174 courses in the metropolitan area, finding a quick 18 holes is easy. 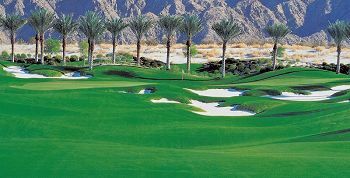 Walk the greens at Scottsdale's newest course, Sanctuary. Tennis fans can play a game night or day on wonderful, well-maintained courts. Resorts offer tennis packages and programs. If you love the outdoors, rock climbing and biking are very popular. Try a bike ride along paved trails or for a more extreme experience, bike the desert trails. ARTS For all of the art lovers, Scottsdale has much to offer. You can find 125 galleries, studios and museums showcasing art, sculpture, arts and crafts and more! All of the art work reflects contemporary themes, southwest themes and classic themes. Scottsdale artwalk is held every Thursday year around. Feel like getting pampered after a game of golf, or maybe you just want to sit in a mineral bath. Visit one of Scottsdale's many spas. All spas incorporate Sonoran desert elements such as Arizona river rocks, natural woven fibers from the century cactus plant, Arizona honey and desert herbs such as sage, juniper, and sandalwood.